Ryanair has urged its passengers to take out travel insurance following the introduction of changes to the way that flights are sold. From April 2nd, airlines are no longer allowed to include holiday insurance in their prices by default, meaning that passengers who want to be covered by the flight operator must "opt in". 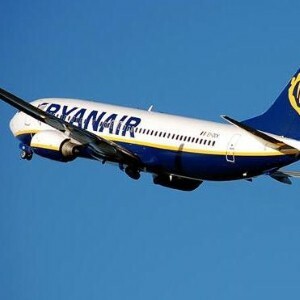 Warning people who fail to take out a policy with a specialist provider that they will not receive any cover from Ryanair by default, the airline urged people to ensure they have holiday insurance this summer. Stephen McNamara, a representative of the company, explained: "To ensure we continue to comply with EU legislation we have now moved to an opt-in process. "It is each passenger's responsibility to buy travel insurance for their trip," he added. Recently, moneysupermarket.com warned families to take out cover before travelling this Easter, after research revealed that two-third of tourists would consider taking an overseas trip without any insurance.